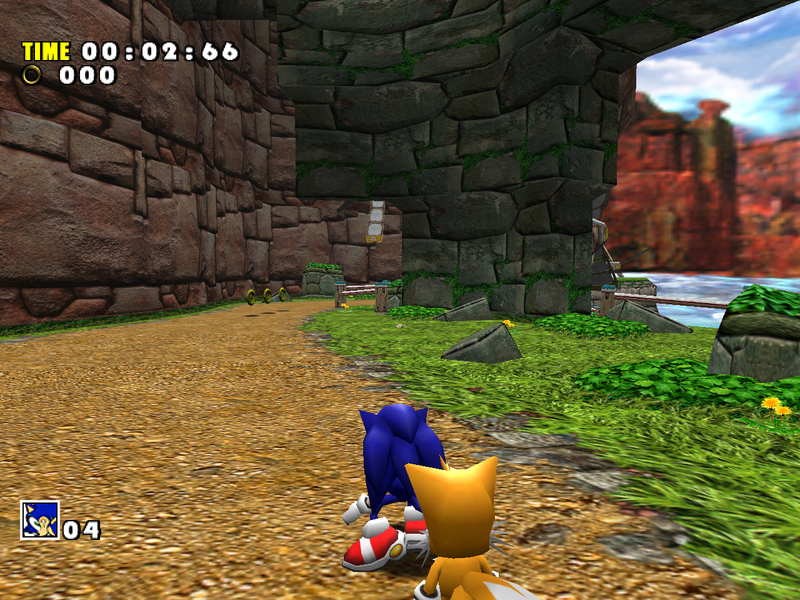 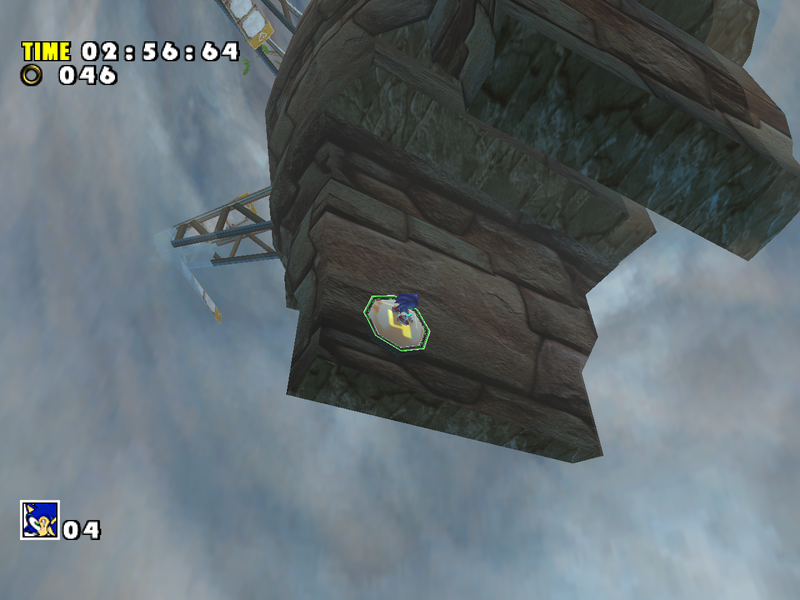 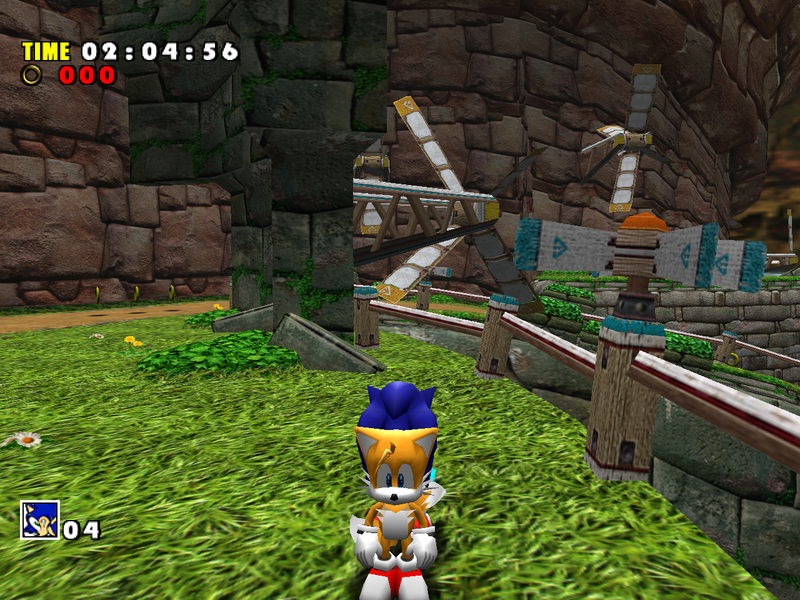 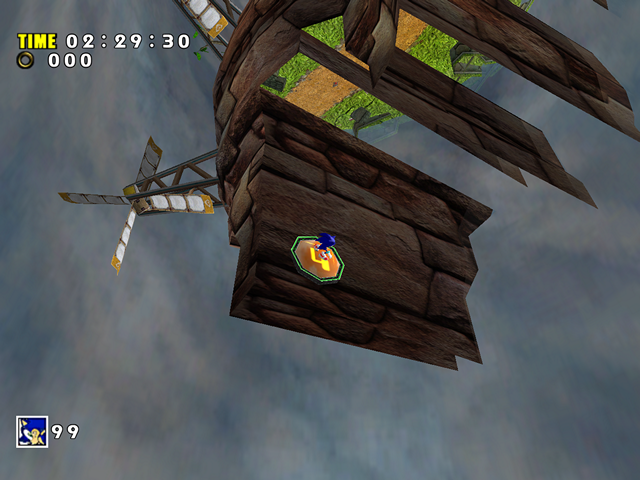 From a quick look it might seem that Windy Valley couldn’t have been downgraded too badly in SADX. The first two acts are short, and the last act doesn’t have complex lighting or any particularly difficult special effects. 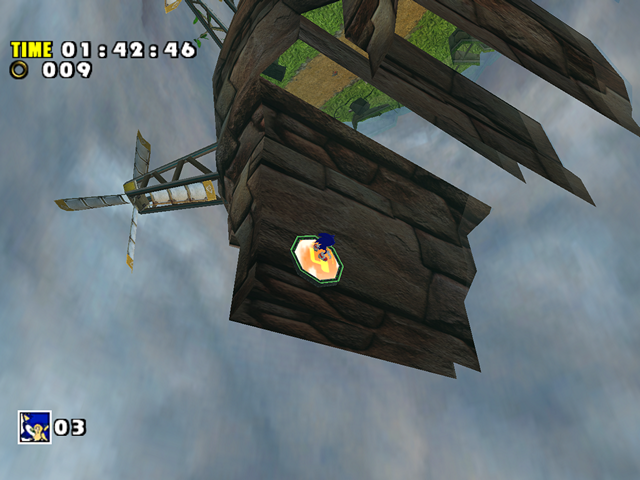 Unfortunately even Windy Valley has some serious issues in the ports. Act 1 is the area where you can immediately notice the PC port’s inferior texture quality. 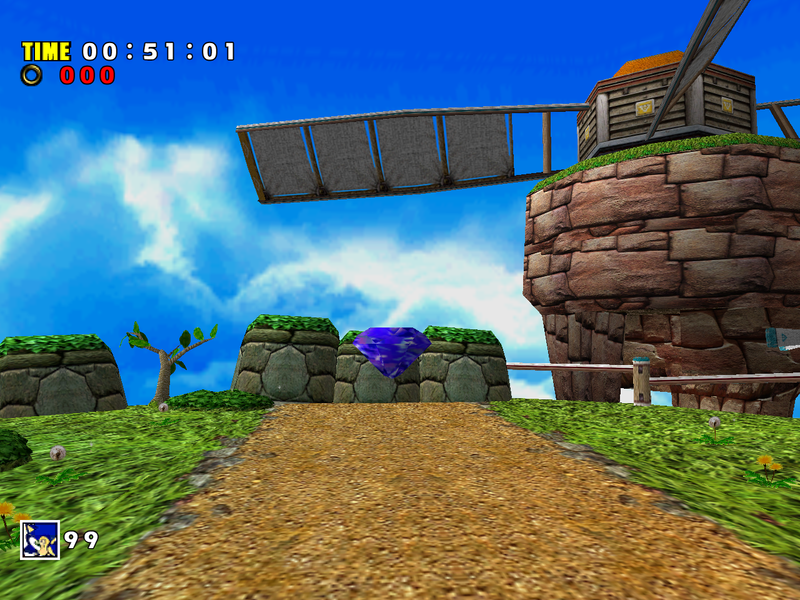 This is what you see right after entering the stage. 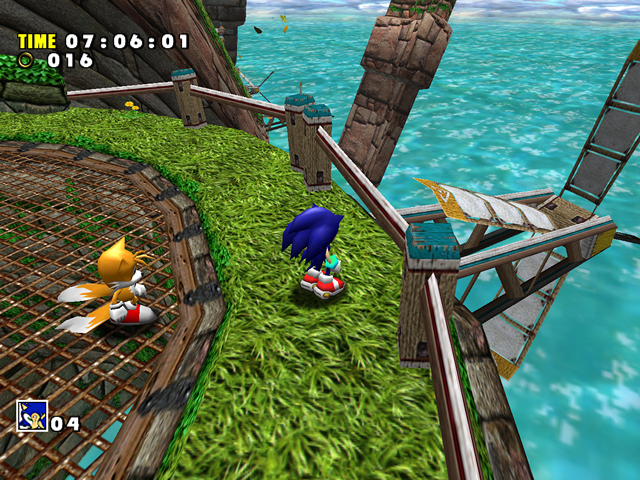 The PC version screenshot has mipmaps enabled in the Mod Loader. Notice how the Gamecube version’s fake lighting, which admittedly looks pretty good in this area, didn’t carry over to the PC port. 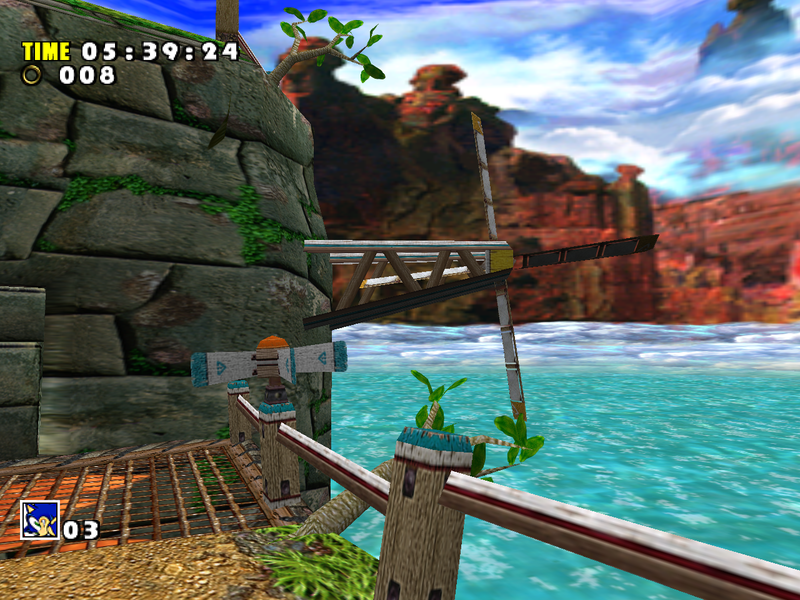 To compensate for the loss of the Dreamcast’s palettized lighting, some textures, such as the rocky walls, were made darker. 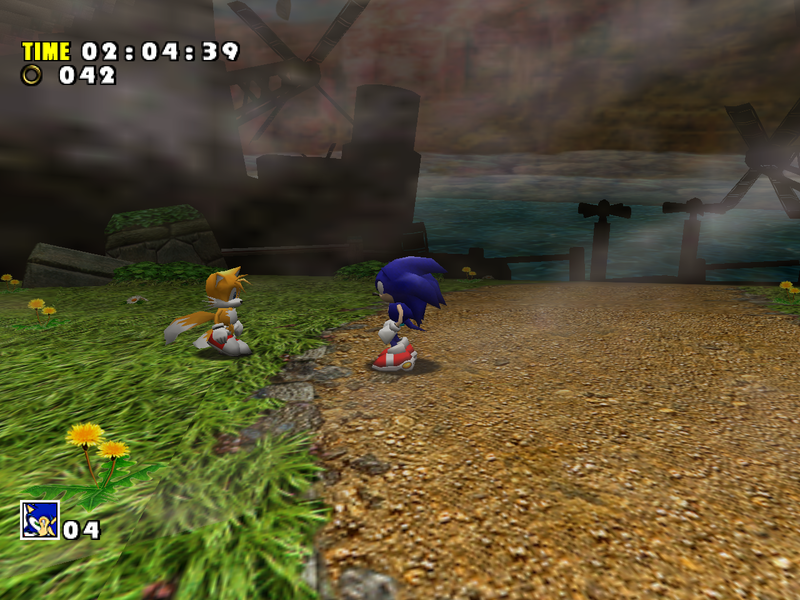 In addition, there’s a color mismatch between the grass and the path texture’s edge in SADX, which could be either a design inconsistency or a side effect of texture recompression in the ports. The third act also had a subtle white fog effect, which made it look like the area was bathing in sunshine. 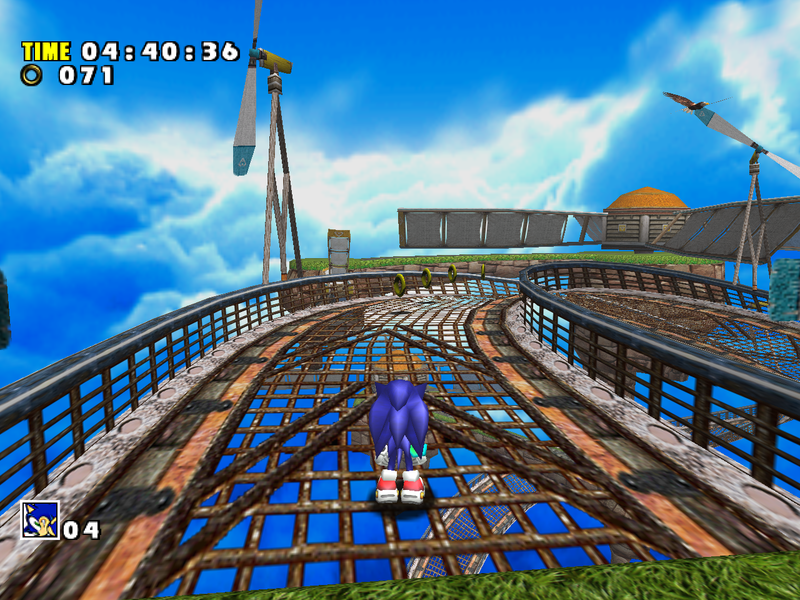 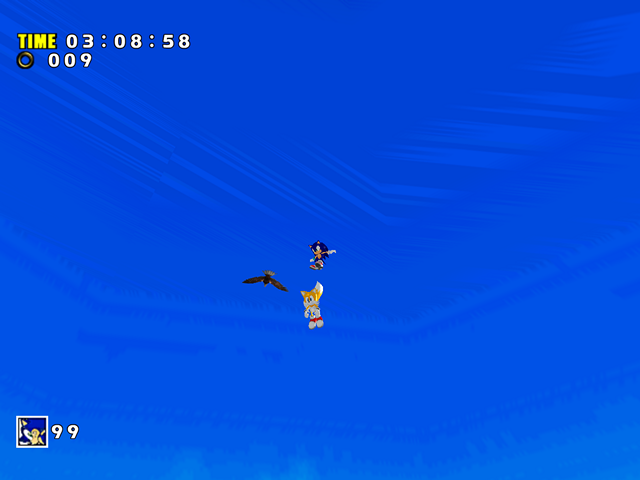 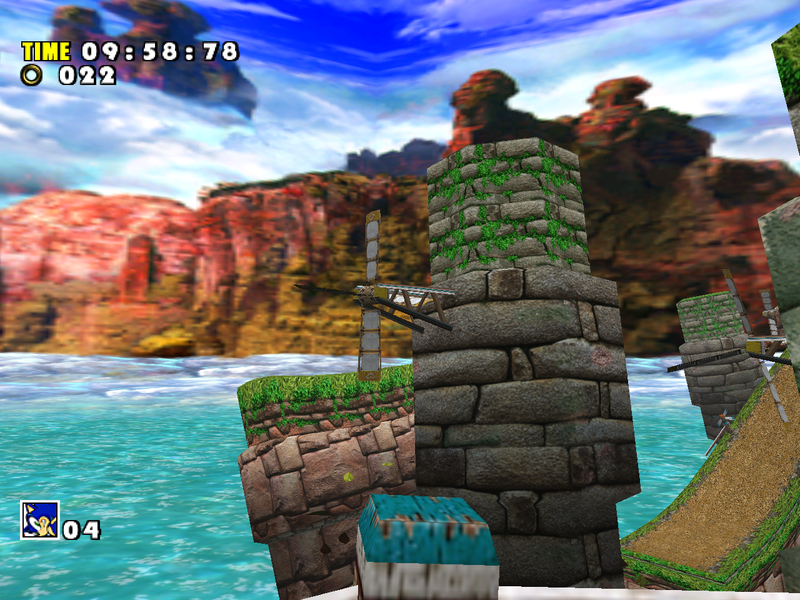 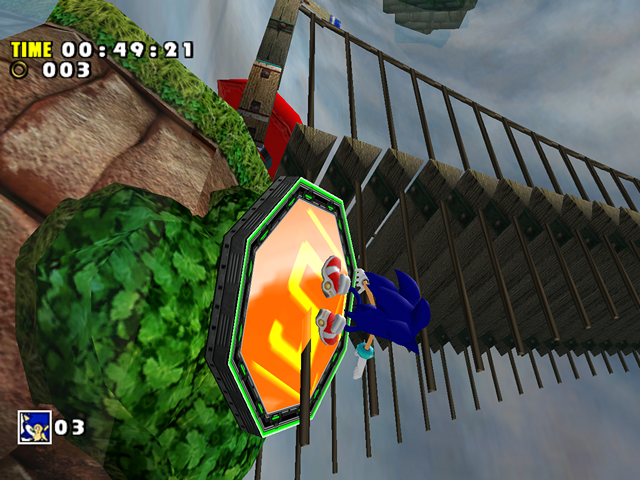 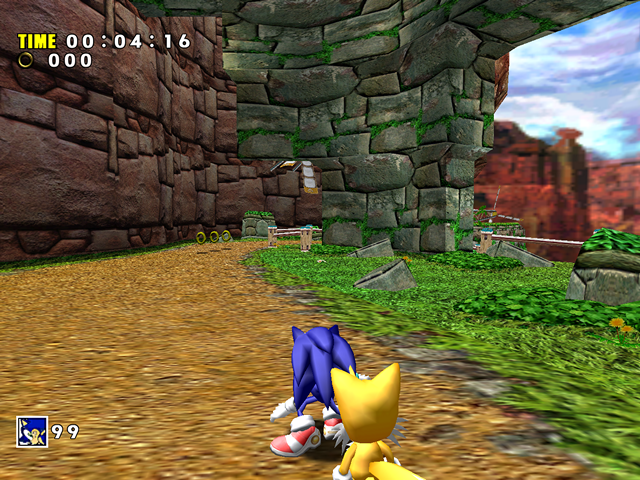 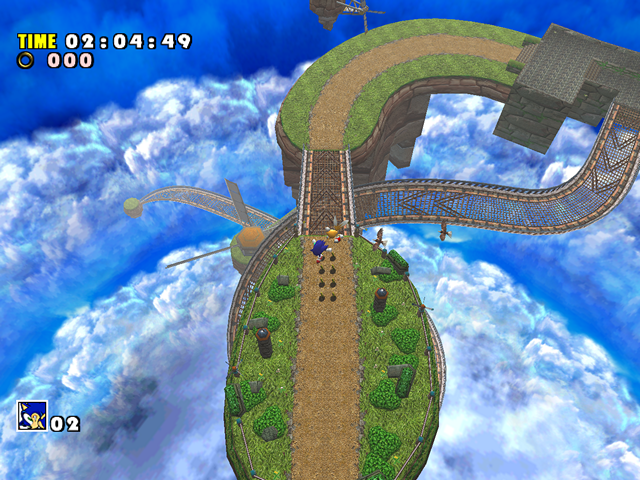 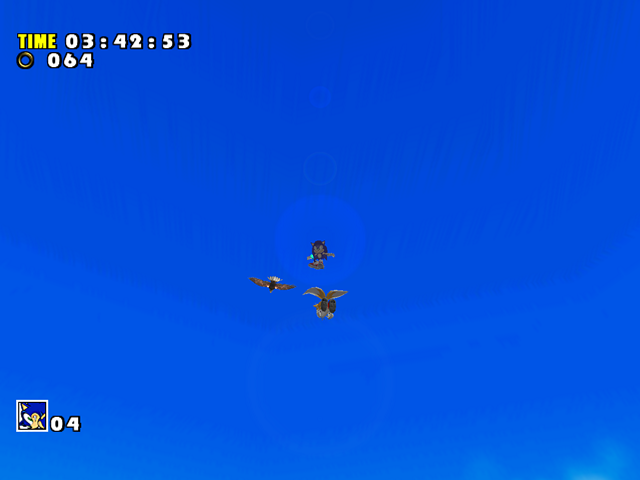 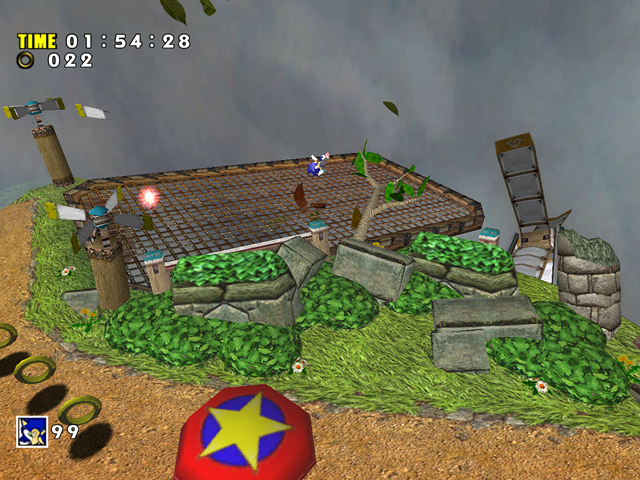 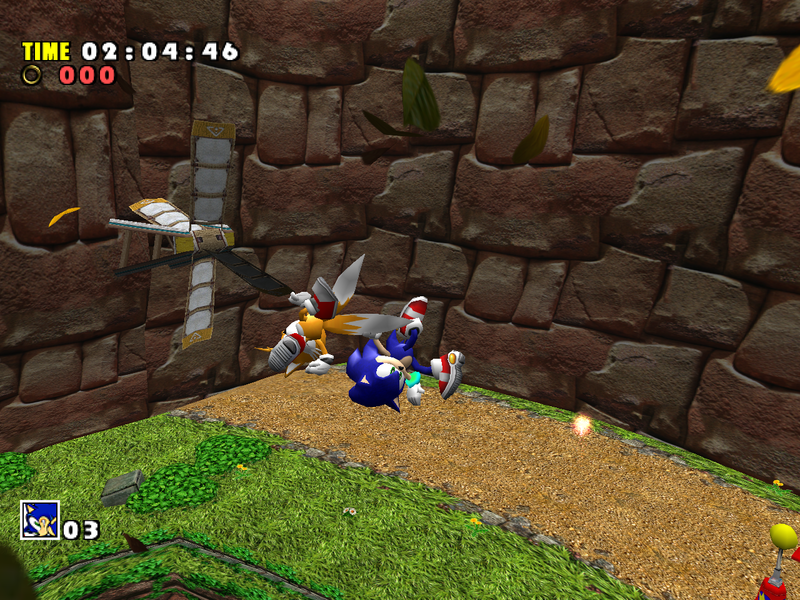 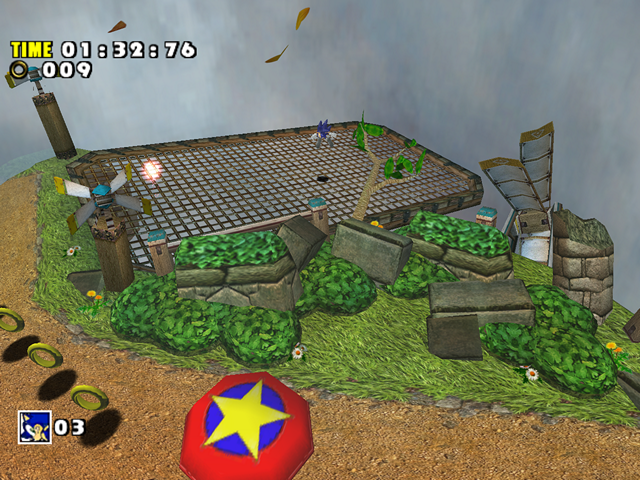 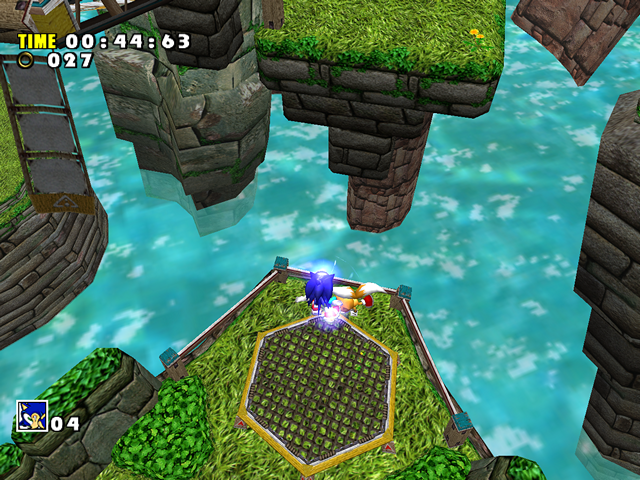 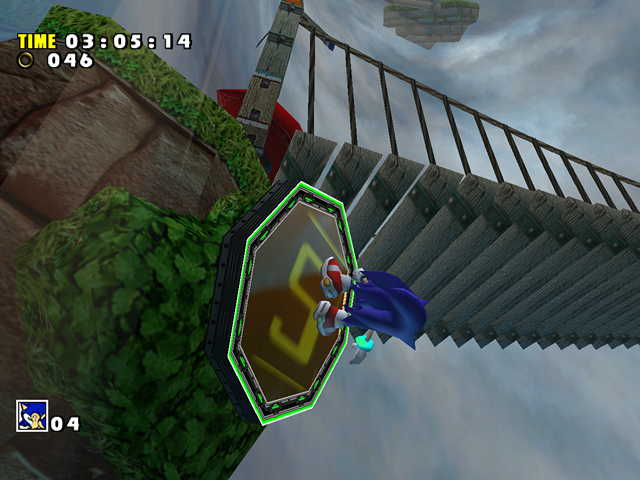 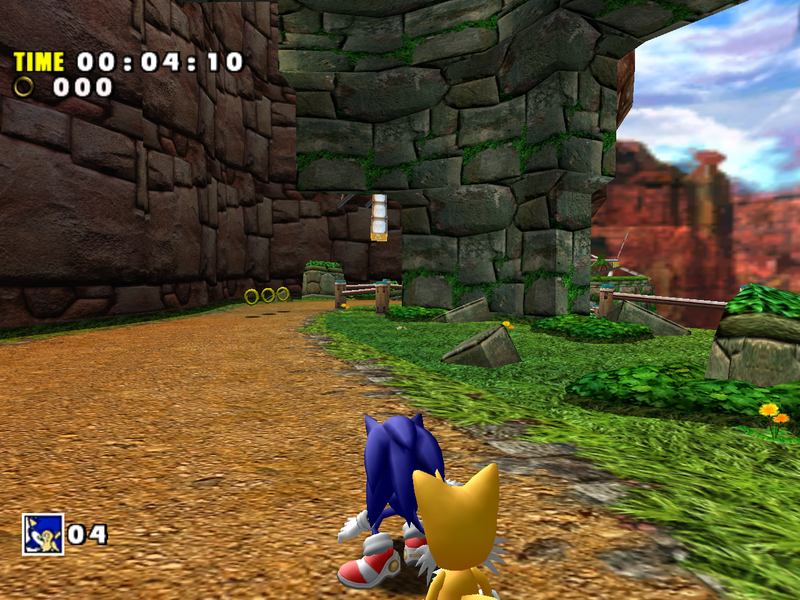 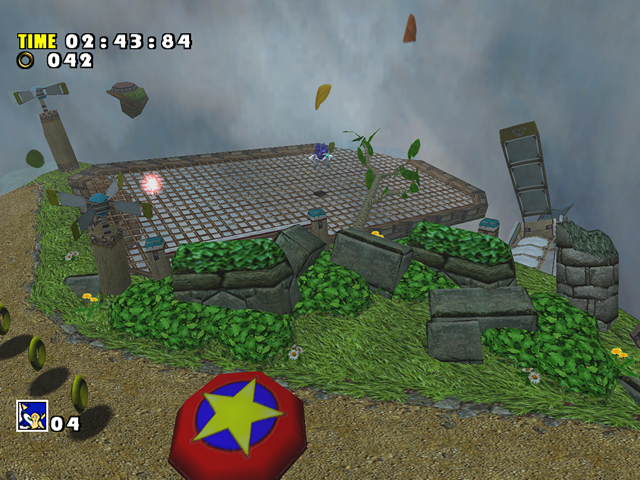 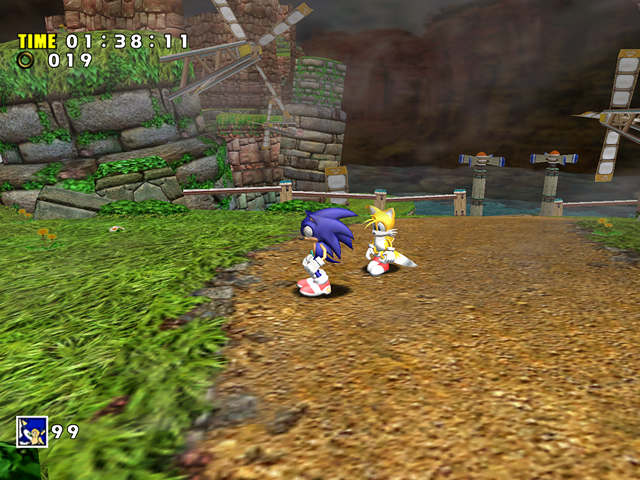 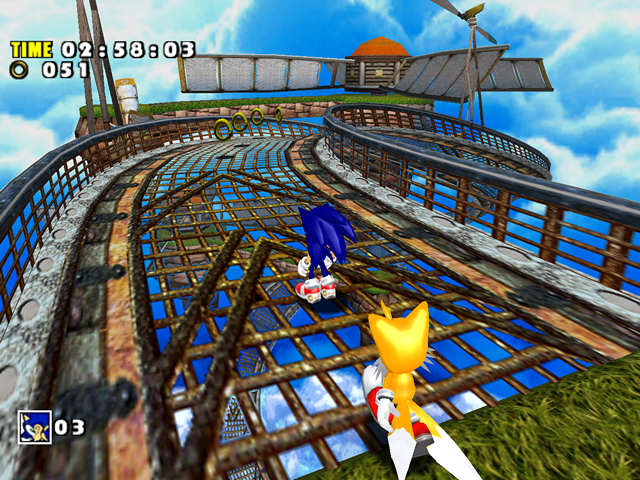 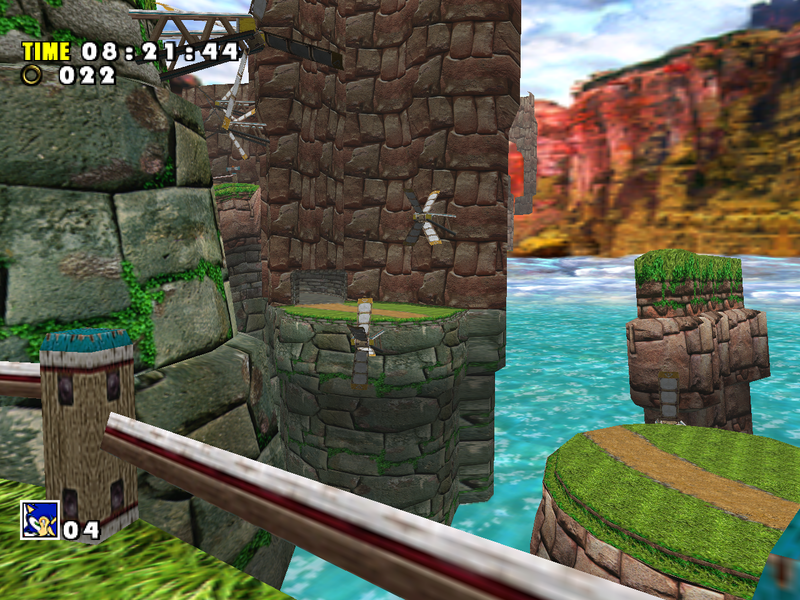 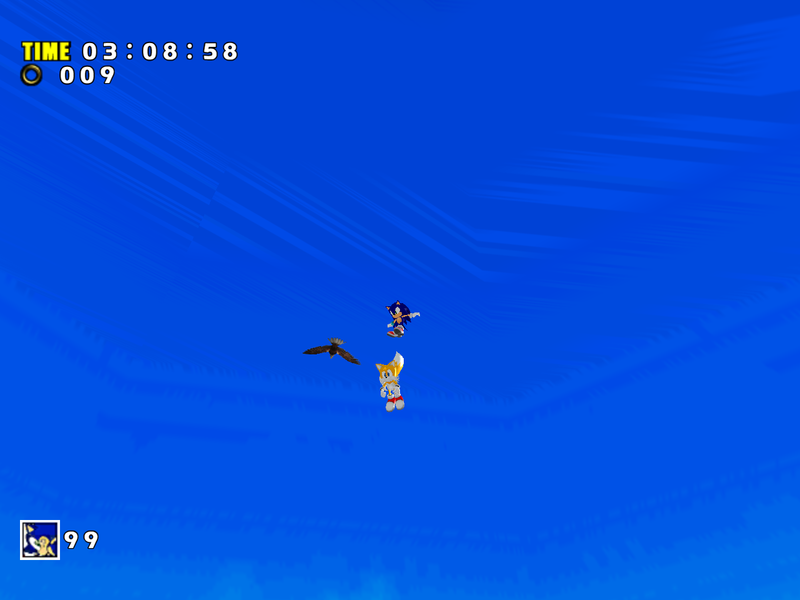 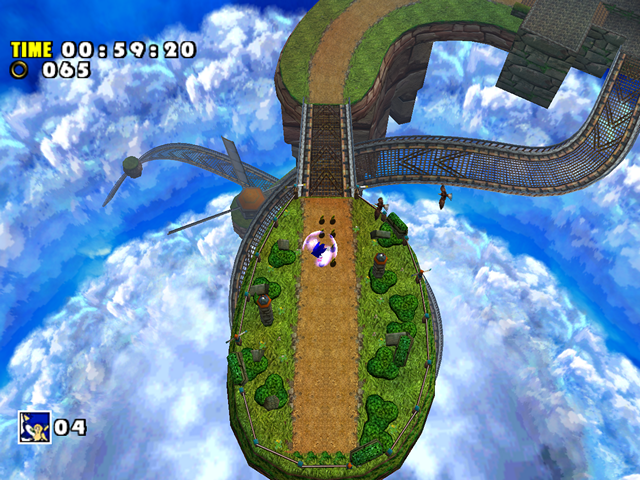 The effect is gone in SADX – while the fog is still there, its color was changed to a duller one, and fog distances were adjusted farther so there is no visible coloration on nearby objects and level geometry. 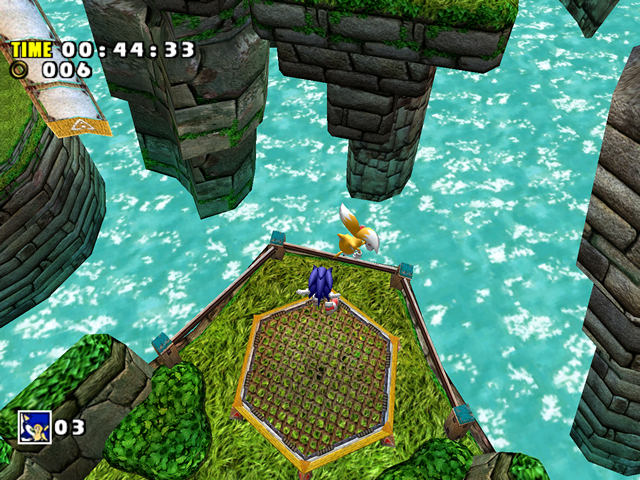 This would’ve worked better in Emerald Coast to prevent washing out the sand color in the PC version. 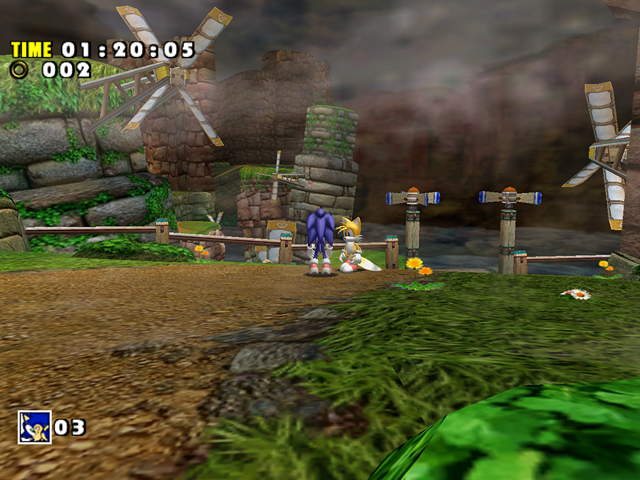 Finally, the “goal” emerald’s pulsating glow is missing in SADX. 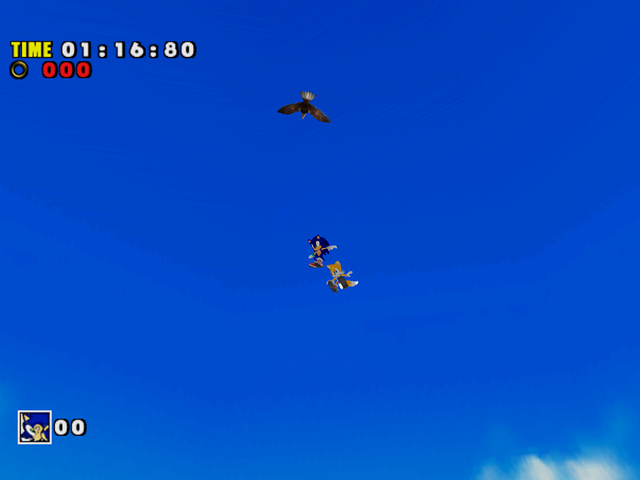 *Not a video but you get the idea. The removal of the glow effect is a relatively minor issue. However, as this blog demonstrates, the entire game has many details removed in every level, and after so many downgrades it ends up losing its charm. Together with the removed lighting and reduced texture quality the “enhanced port” does not compare favorably to the Dreamcast original. 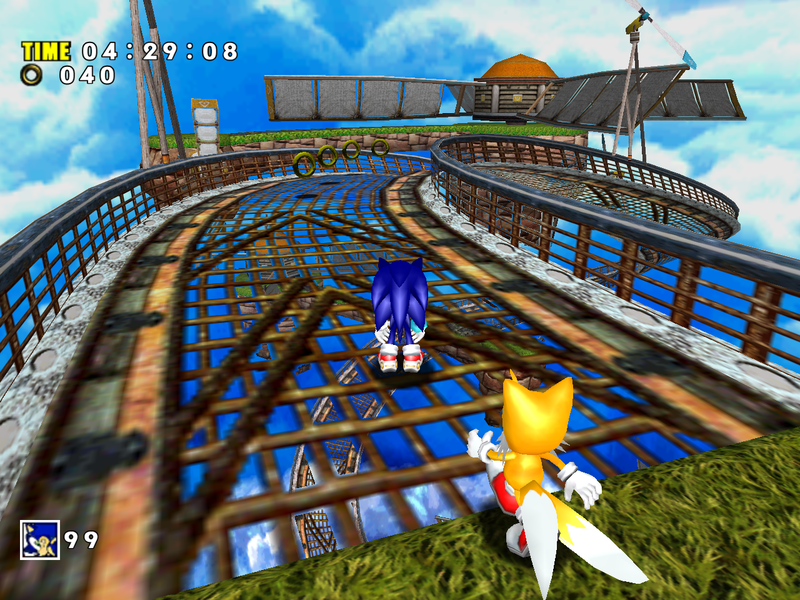 In the PC version, this level is improved significantly by reverting to the original Dreamcast version of all level models, improving texture quality by using textures from the original game, and adding back fog effects and palettized lighting from the Dreamcast. More on that in the “Fixing the PC version of SADX” section.